From the world's smallest pop-up store to a life-sized model of Benedict Cumberbatch in chocolate - take a look at the latest outdoor work. 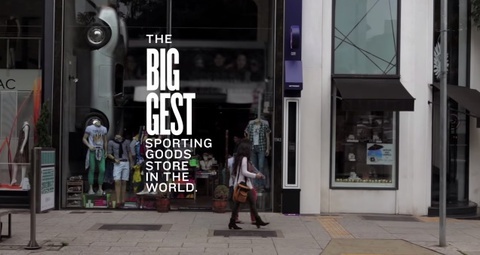 Netshoes says it has opened up the “World’s Smallest Pop-Up” store with the most products. It’s probably more along the lines of a pop-up store that is just an online store disguised as a pop-up. The work by DM9Sul is at 1.149 and a half Oscar Freire street in São Paulo, a location considered the biggest retail strip in Brasil where 35 thousand people pass by daily. Barely wider than an iPad, the Netshoes pop-up store is cleverly placed between two other stores, is and comes complete sign and door mat. The iPad simply loads the standard online store to give passers by the ability to shop over 40,000 pairs of sporting shoes in seconds, while also driving people to download the stores app on their own devices. Do you like napping but don’t, because you’re a normal working adult? 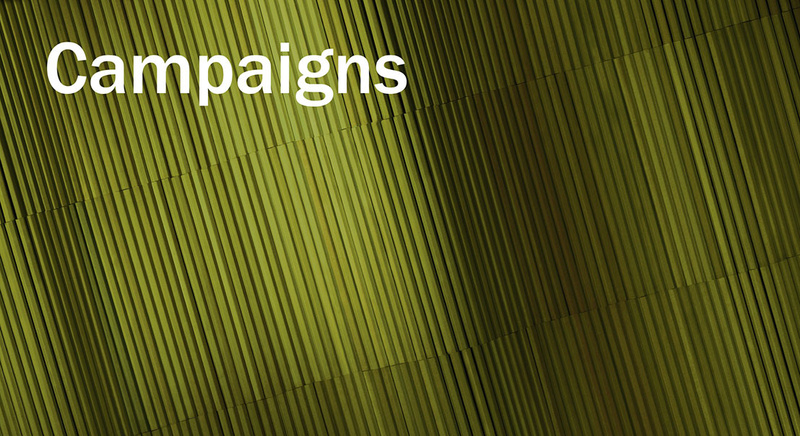 Wieden + Kennedy London love throwing their creative placement teams in the deep end, so they gave one duo a brief to create an interactive installation for their Hanbury Street window space. They came up with a wonderfully odd productivity boosting tool and gave it a brilliant infomercial-style visual identity. Introducing InstaNapzzz! The personalised, recyclable, revolutionary glasses that will make you look awake even when you’re not. 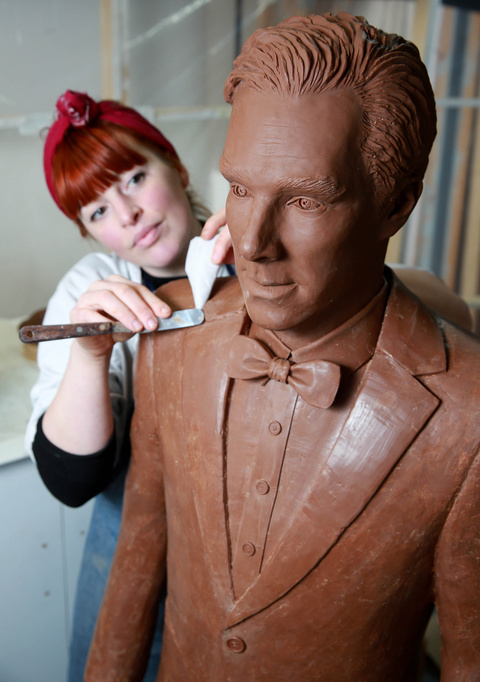 Staying in London, a life-sized chocolate sculpture of the acclaimed actor Benedict Cumberbatch was unveiled over the weekend following a national poll which named the star as Britain’s dishiest TV drama actor. The star of UK drama Sherlock beat off competition from Broadchurch’s David Tennant, rumoured potential James Bond Idris Elba and Aidan Turner, current star of Poldark to claim the title ahead of the forthcoming Easter weekend break. The research, which surveyed 2000 British women (we’re sure men would have liked to be consulted too? ), and the subsequent chocolate sculpture, were specially commissioned to celebrate the launch of TV channel Drama on UKTV’s on demand service UKTV Play.